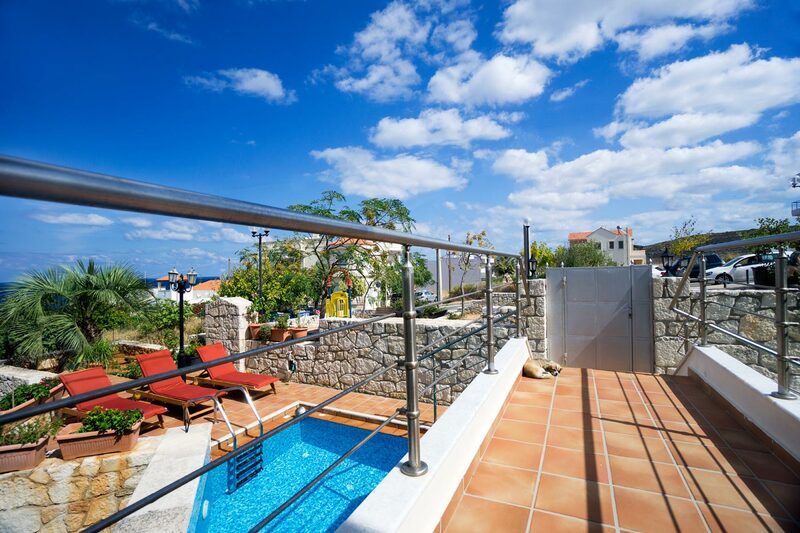 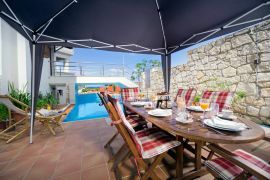 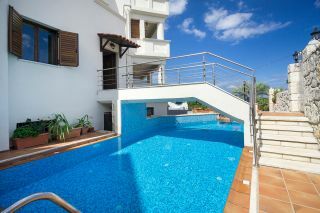 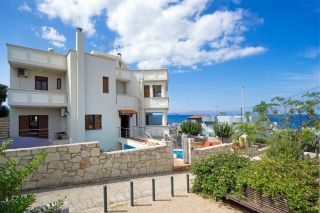 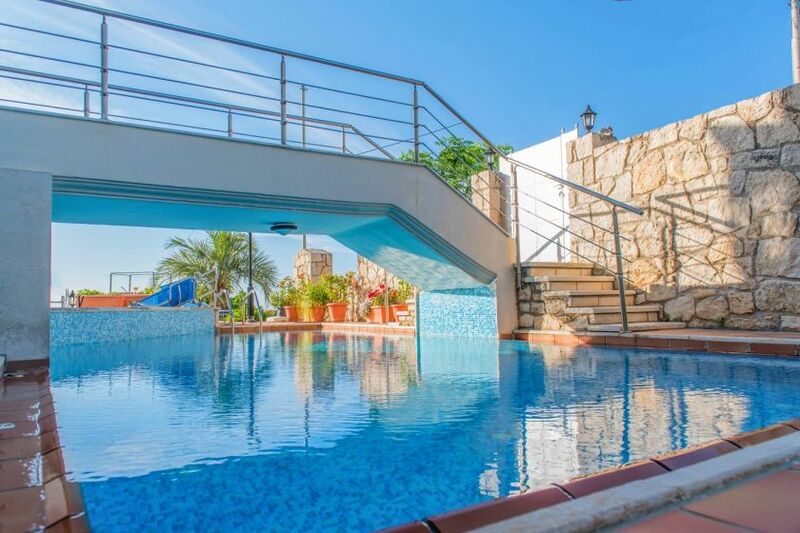 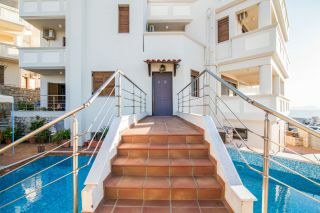 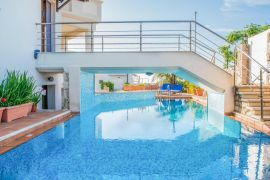 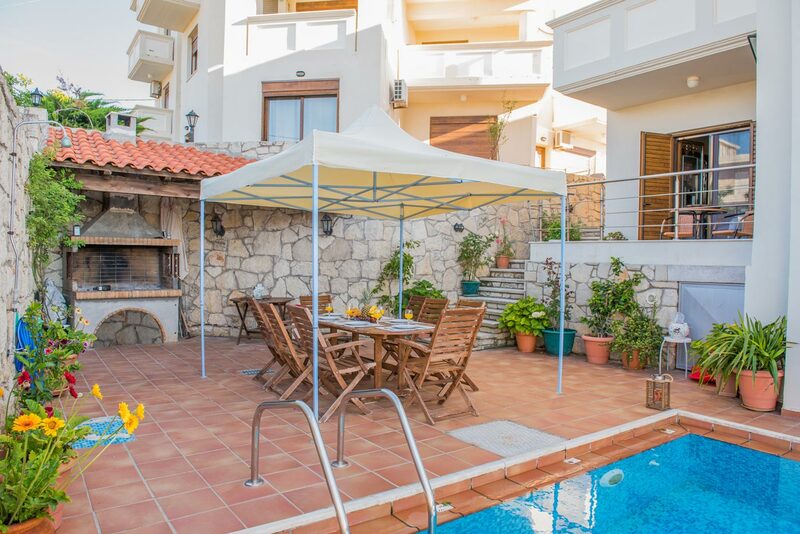 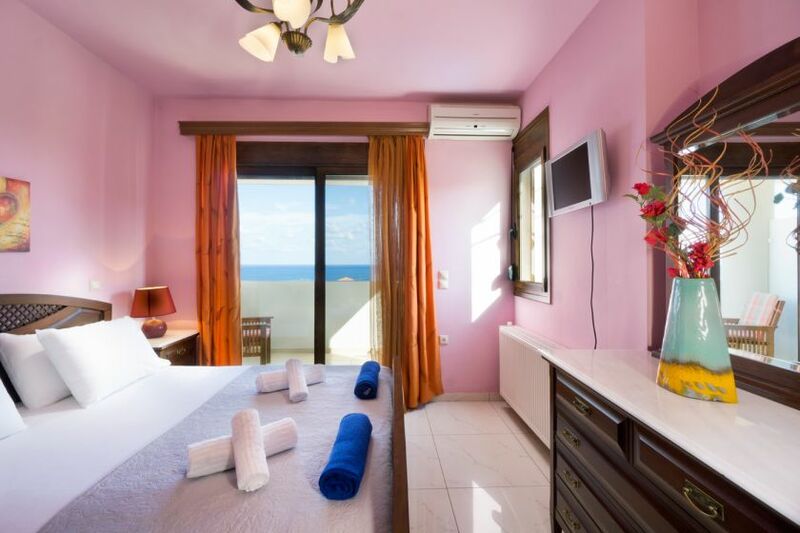 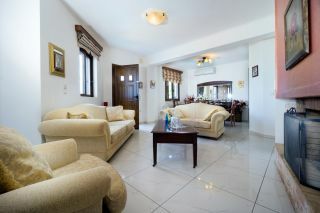 The 4-bedroom Finest Villa has a private pool and it is located 5 km from the picturesque town of Chania. Three bedrooms with a double bed and one bedroom with two single beds are offered. One en-suite bathroom, one common bathroom and two wc are provided. The nearest mini market can be found in short walking distance. A few very nice cafes and restaurants can be found within a 5-minute drive. The nearest sandy beach of Kalathas is located 9 km away. The main floor of the villa is a little above the pool level, and it has an open plan living room area, a fully equipped kitchen and a dining area. 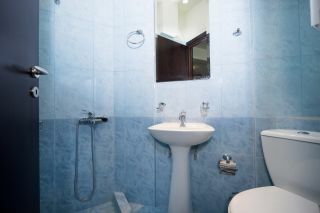 A wc is also provided on this floor. 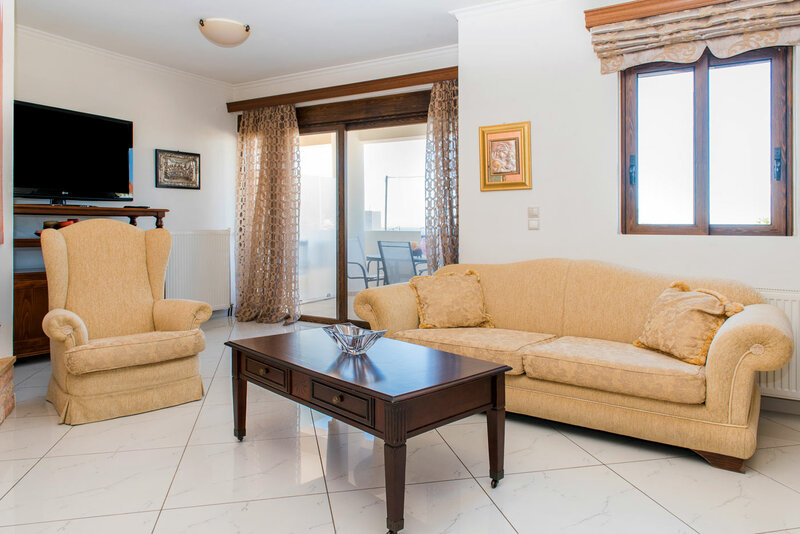 Three bedrooms with a double bed each are provided on the top floor. 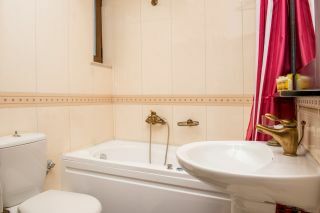 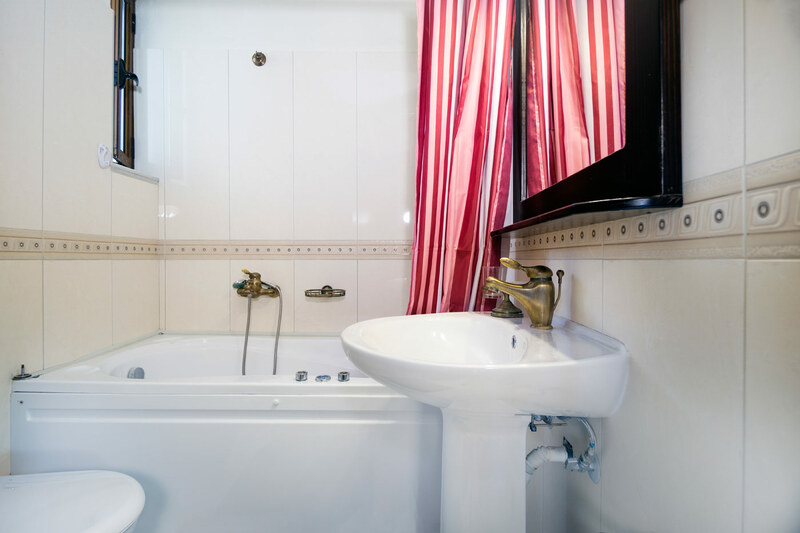 One of the bedrooms has an en-suite bathroom, while the other two bedrooms share a common bathroom. 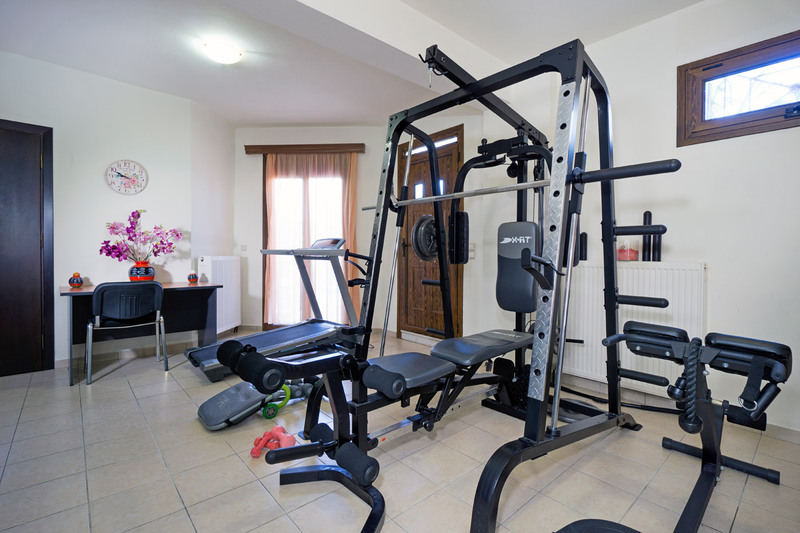 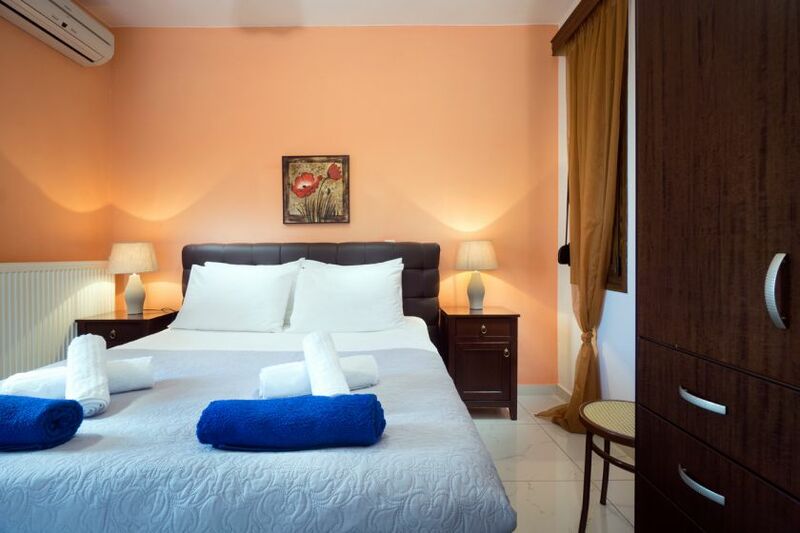 The semi-basement offers one bedroom with 2 single beds, a gym and a wc. 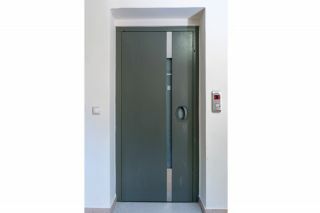 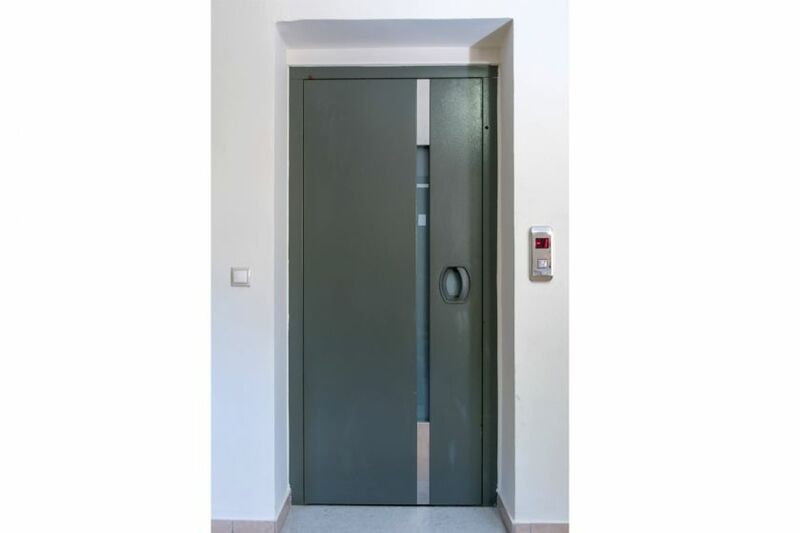 A lift connects one floor with another. 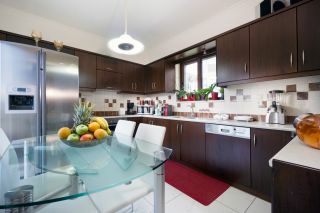 Please note that air-condition, wireless internet, washing machine and dishwasher are provided. 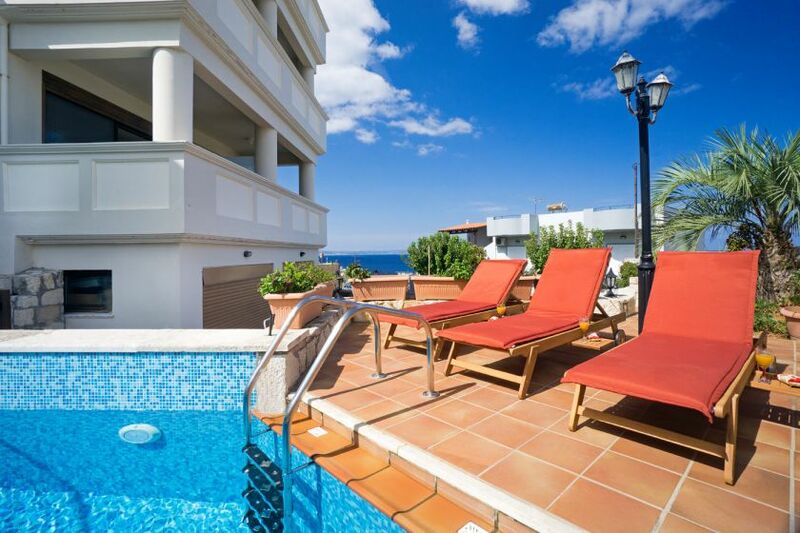 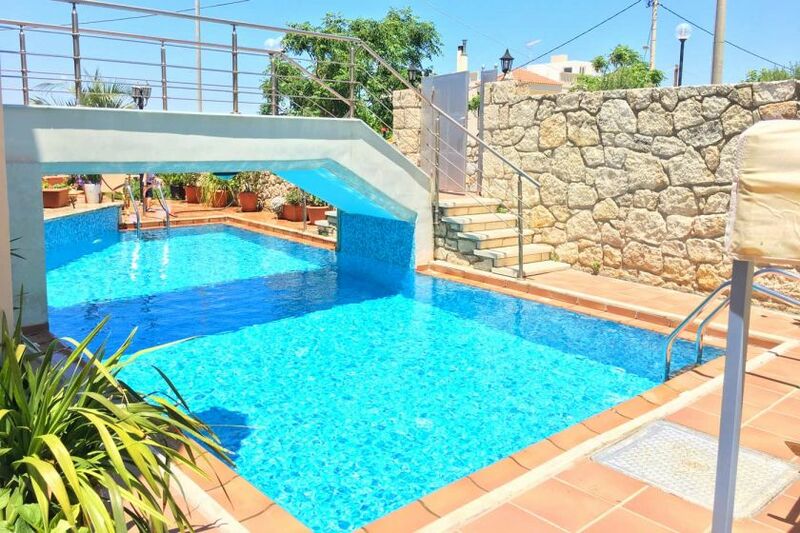 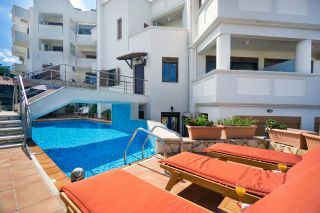 A private courtyard with a private pool with sun loungers is offered. 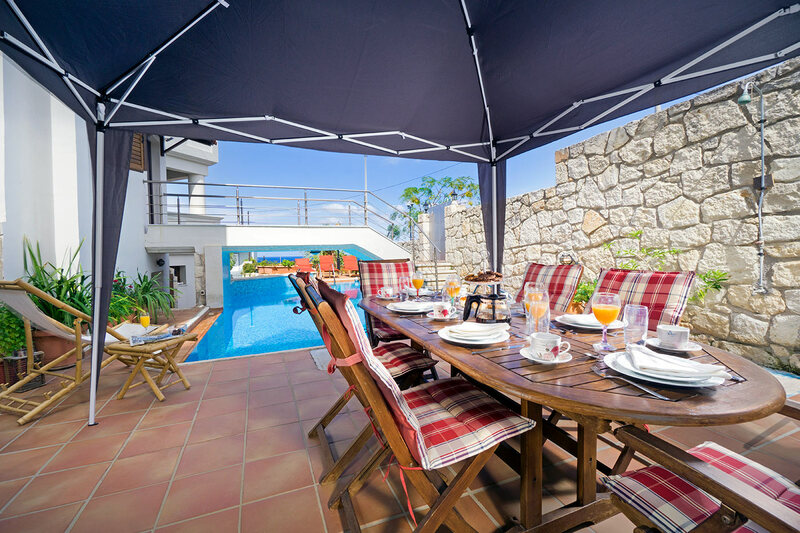 A shaded dining table next to a lovely barbecue corner is provided as well. 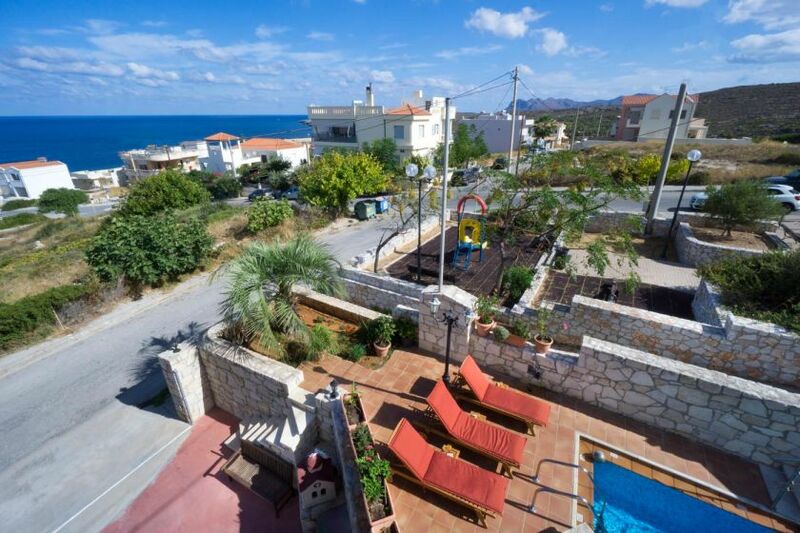 A small public playground is also available next to the Finest Villa. 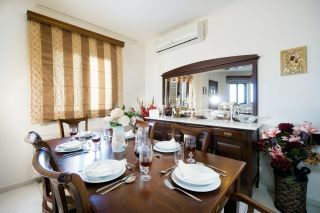 We were 8 people and 3 kids in house, and we our stay was very good. 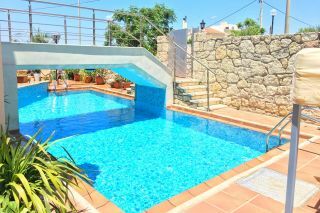 The house is comfortable, clean (included the pool) and quiet. Check in and out as the communication with host were perfect. 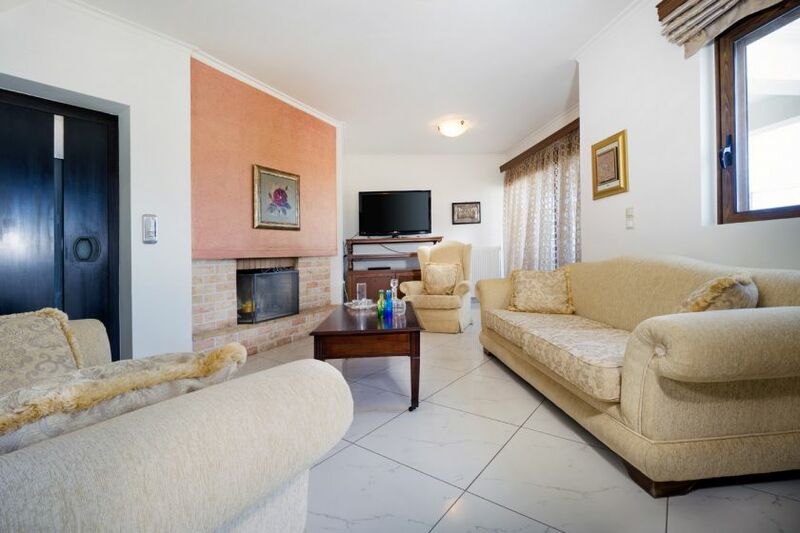 Location is good for families, 10 minutes with car to the center of city. 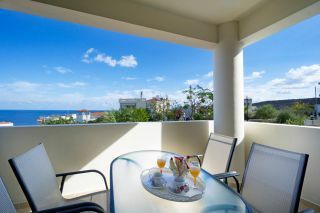 It is highly recommended to rent a car. 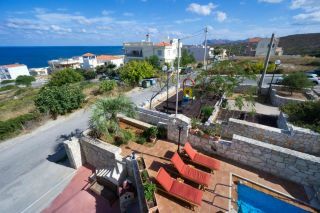 Location, view, lot of space.